Turning your clock forward can disrupt your sleep. The most dreaded day of the year for many sleep-deprived Americans has come and gone… the beginning of Daylight Saving Time. 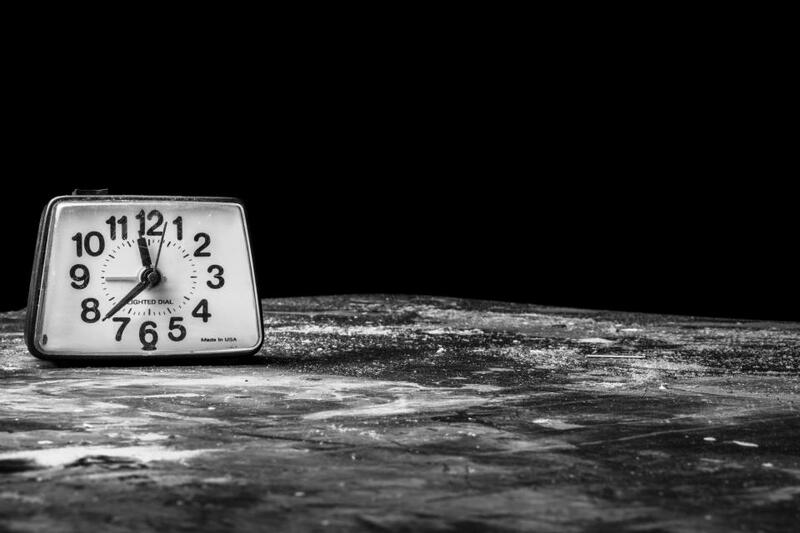 In a nation where most people get fewer than the recommended 7-8 hours of sleep each night, springing forward and losing an extra hour can really throw people for a loop. Having trouble adjusting? Now is the perfect time to take measures to create good sleep habit to reset your sleep/wake cycle. Here are five things you can do to make it happen. #1 Set a bedtime and wake up time… and stick to them. Like it or not, people thrive on scheduled routines. When it comes to sleep, this is truer than ever. By going to sleep and waking up the same times each day, your body gets into a natural rhythm. This will improve sleep quality and help you to feel refreshed in the morning. Love to party on the weekends and sleep in until noon? Don’t. Throwing your schedule for a loop on Saturday and Sunday can really ruin your progress. In fact, it’s probably half the reason we hate Mondays so much, as your brain and body will fight you getting to bed on time come Sunday night. So do your best to stick to your routine all week long. #2 Turn off your smartphone. Believe it or not, your smartphone could be the number one thing messing up your sleep. In fact, one recent study showed that 66% of people are on their phones until 30 minutes before bed. 35% use their phones until 5 minutes before bed, and 14% say they use them up until falling asleep. The problem is that the light from your smartphone has a negative effect on melatonin production. Not only does this keep you from getting tired, but it also can keep you from properly progressing through your sleep cycle and getting enough deep sleep. So turn off your smartphone an hour or so before bed and keep it out of your room. Your time before bed should be relaxing. And what better way to calm yourself than yoga? The stretching and deep breathing have been shown to have positive effects on stress, which can help you wind down for sleep. Besides, if you’re doing yoga, you’re not staring at a screen. Win, win. #4 Make a to-do list. Are you someone who stares at the ceiling in bed thinking of all the things you have to get done the next day? Well, researchers from Baylor University may have the solution you need to get to sleep. Make a to-do list. The study shows that making a list before bed helps people offload worries for the next day, thereby allowing them to get to sleep easier. This also helps you start the next day off more productively. #5 Invest in your sleep. You spend a third of your life sleeping. Maybe it’s time you considered upgrading your bedroom. That means high thread count sheets and softer pillows. And of course, don’t forget the focal point of sleep: your mattress. Luckily, purchasing a mattress is easier than ever. Brands like Casper, Leesa, Nolah, Layla…all these bed-in-a-box companies allow you to purchase mattresses online for reasonable prices without having to deal with mattress salespeople. And they offer long trial periods for you to make sure you like what you got. If you need help sorting through all the choices, make sure to search through available mattress reviews to learn the ins and outs of each before you buy. We’re a nation reeling from sleep loss. But you don’t have to sit back and settle for exhaustion. Try out the tips above and take control of your night’s sleep. chris Brantner is a Certified Sleep Science Coach. His expertise has been featured on Forbes, HuffPost, Bustle, GQ, Men's Health, Daily Mail, and more.